We all know there are certain foods in our diets that aren’t exactly the best for our oral health. If we want to avoid the development of cavities in our teeth, there are certain foods we should probably pass on. In fact, according to the Centers for Disease Control and Prevention, cavities are the most common chronic disease that individuals between the ages of 6 and 19 years old face. In today’s blog post, we’ll go over a few of the most common foods (and drinks) in your diet that are ruining your teeth by creating a space for cavities to inhabit. At Concord Smile, we offer general dentistry services as well as emergency dental services to the Concord community, and we’re known in the community for providing excellent customer service and competitive payment plans. Contact us today to schedule an appointment. Continue reading below to learn more about five foods and drinks that you should try to avoid when possible — for the health of your teeth, if anything. It’s obviously a well-known fact that candy isn’t great for your teeth. Do you love sour gummy bears or sour gummy worms? Well, surprise — these are some of the most damaging candies for your oral health. Sour candies contain acids that are harsher on your teeth, and thanks to their sticky consistency, they can get stuck to your teeth for longer periods of time. The result? Higher rates of tooth decay. Specifically, we’re talking about soda here. According to a study conducted by the National Center for Biotechnology Information, soda can be as damaging to your teeth as methamphetamine or crack cocaine. We understand the appeal of fresh fizzy drinks, but if you’re regularly sipping on Coca-Cola, you might want to reconsider. The carbonation of soda causes plaque to produce more acid, ultimately resulting in the decay of your tooth enamel. 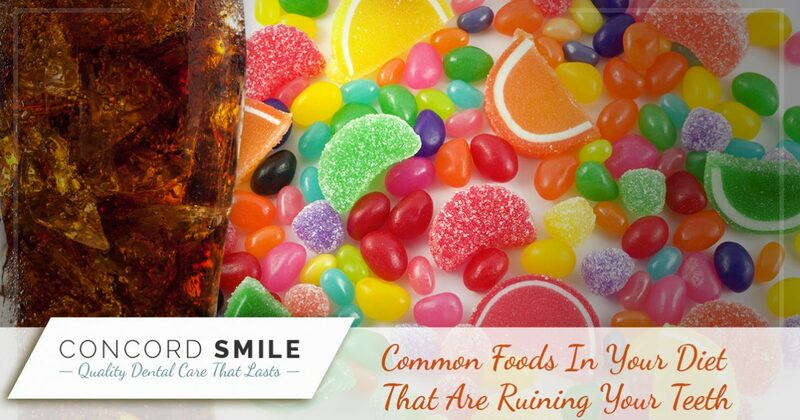 Also, the dark coloration of soda can cause your teeth to stain. According to the Americal Dental Association, ice can be fairly damaging to our chompers. Since ice is an extremely hard substance, people can easily break or crack their tooth when chewing on ice. Try to break this bad habit, if you can. Surprise! Bread, a food that we use for our sandwiches and everyday carb cravings, is not the best for our teeth. When you chew bread, your saliva essentially breaks down the starches in it into sugar, which becomes a gooey substance that can easily stick to your teeth — ultimately causing cavities. Do you eat any of the foods listed above regularly? 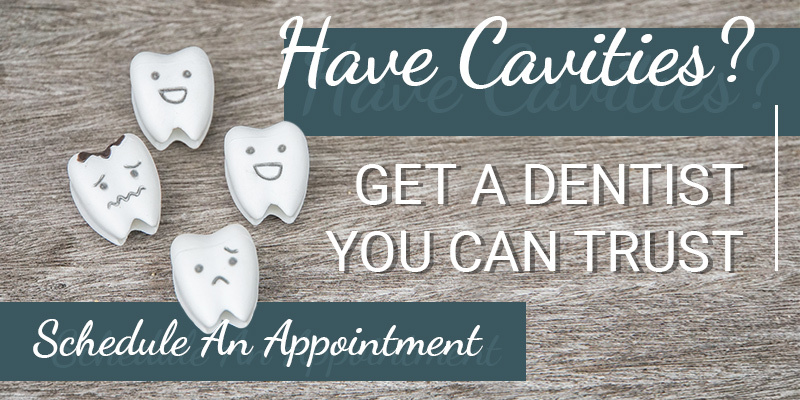 Are you looking for a trusted dentist to check on your teeth for any cavities? We can help you out at Concord Smile. Our general dentistry office in Concord strives to provide you with a smile you can showcase and be proud of. Contact us today to schedule an appointment with our Concord dentist. You can reach our office by calling (925) 557-1131 or by filling out our online form here.